Is the Iran Nuclear Deal Good or Bad? Iran keeps all of its currently disclosed nuclear facilities, including the Arak Heavy Water facility and Underground Fordow Facility. There is a reduction in the number of centrifuges, but Iran gets to continue working with more advanced centrifuges and can increase their usage after 10 years. Creation of new facilities is restricted to 15 years, specifically for Heavy Water types that would be needed for Plutonium development. Why not forever? Sanction relief is quite exhaustive and far reaching (both snap back penalties and reintroduction unrelated to nuclear transgressions). While the dispute resolution looks reasonable from a mediation point of view, there really is no teeth in terms of penalties. Iran follows the agreement and does not conduct nuclear weapons research, but they continue supporting its terrorism affiliates with their increased funds. 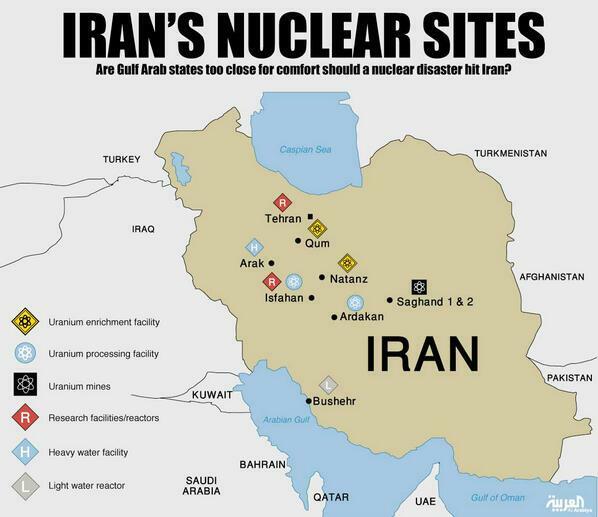 Considering Iran’s past with hiding the development of past nuclear facilities (plural), this outcome is optimistic. Nevertheless, it is important to expect that violence specifically related to Syria, Iraq and Yemen will increase when frozen funds can be accessed and sanctions are lifted. Iran complies with agreement conditions, but conducts covert nuclear weapons research, development and production. This is where the inspections are critical and why the agreement is written in its fashion. So, we need to decide whether the inspections will catch such subterfuge or can we expect a double whammy. The first concern is related to the last paragraph of page 39, which is truncated. It talks about the increase in number of inspectors to between 130 to 150. The portion continued onto page 40 is what is concerning, which is “allow the designation of inspectors from nations that have diplomatic relations with Iran, consistent with its laws and regulations.” This basically means inspectors from much of the Western World are not permitted to inspect Iranian facilities. Whether this is a fox in a hen house situation is unclear, as diplomatic relations with Iran have improved with the UK, Germany and others. We just don’t want be in a situation where we are questioning IAEA inspections. The second concern is Access as described on pages 42 and 43. If the IAEA wants access to a suspected covert facility, materials or activities, Iran can reject access. Sub-paragraph 78 describes the 24 day duration for working through the dispute for access. While the Access description language seems reasonable, the concern is regarding disclosure of intelligence for justifying access. By disclosing some of the information gathered, we put our intelligence network at risk. So, the likelihood of moving forward with a dispute for Access would require cost, benefit and risk analysis. We can expect that illicit nuclear development will not likely be conducted at the known facilities that the IAEA will be regularly inspecting. Considering we missed past nuclear facility creations, Iran is more in command of its future than the verifications in this deal. In summary, there are a lot of risks and unknowns associated with this deal. I personally feel that it would have been better to keep sanctions in place and negotiate a better deal. I don’t think any deal that allows Iran to keep nuclear enrichment capabilities is a good deal, but I also realize that Iran would never accept dialing back their nuclear ambitions so far back. In the end, I think the deal will be rejected by Congress and President Obama will use his veto. It is unlikely the Republicans will garner enough votes to override the President’s veto. So, this deal will move forward and the Middle East will become an even hotter place as we approach Implementation Day. I still feel President Obama will be able to veto the decision. There is hope that more Democrats will agree with Schummer’s position and that this will not be just a party line vote. There has been a lot of debate about the Iran Nuclear Deal across the country, as I noticed here in Texas and in California. Many of our friends share differing opinions, some for, some against and some undecided. I recently came across a JBS discussion about the Iran Nuclear deal, which I found quite interesting. Until the voting is in, we should stand by our principles. “A vote of disapproval is both more and less than meets the eye. It is, on the one hand, the only way the American system allows for elected representatives to express opposition to the agreement and compel the administration to take those views into account. On the other hand, it would not kill the Iran deal unless the other parties to the agreement wanted it dead. While a vote of disapproval would restrict the president’s authority to fulfill one U.S. obligation under the accord — waiving sanctions — this most likely would not become a live issue until early-to-mid-2016. Until then, much could happen to change the situation, ranging from improvements in the deal that merit subsequent congressional support to new revelations of secret Iranian nuclear activity that would validate congressional skepticism. I still feel Congress will not approve the accord and President Obama will veto it. The question is we should be asking is what to do after the accord is executed. Maybe for a future blog posting.